Vanessa Wilkie ’00 thought she would be a diplomat, or maybe a lawyer, when she grew up. She came to the University of Redlands as a government major, but after taking a class with History Professor Jim Sandos, she was hooked. So she double majored in government and history, still thinking of law school as an eventuality. Then she went to Salzburg. It was spring of 1999, and Peter Madler was director of the pivotal Redlands study abroad program. On one of their trips, the U of R group visited the Wittenberg Castle church, where Martin Luther had posted “The Ninety-five Theses” in 1517. The list—an academic dispute with the Catholic Church—was so impactful it started the Protestant Reformation. Wilkie kept looking at J.D. programs after her semester abroad, but while her head said law school was the next logical step, her heart wanted to study history. 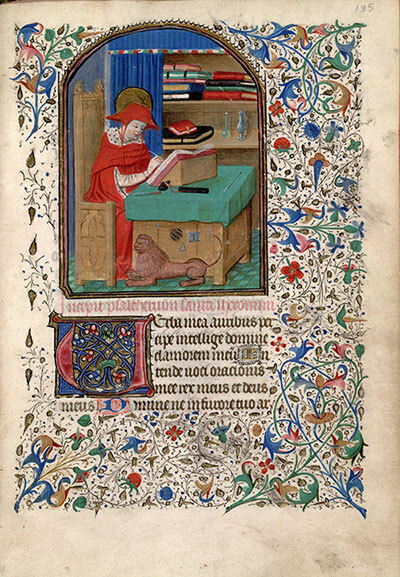 Her heart eventually won; Wilkie received a Ph.D. in history from the University of California Riverside, and worked as the Lossett Visiting Professor Redlands in the History Department before she became the William A. Moffett Curator of Medieval Manuscripts & British History at the Huntington Library in San Marino, Calif.
Wilkie loved teaching at Redlands. “It felt like it was an amazing opportunity to go back as a professor and to have Jim Sandos, my undergraduate advisor, as a colleague—he was such a generous mentor to me,” she said. Still, when she got a call from the Huntington Library about the curator position, she knew she had to act. “My predecessor had this job for 43 years so I knew this opportunity was too good to pass up,” she said, laughing. 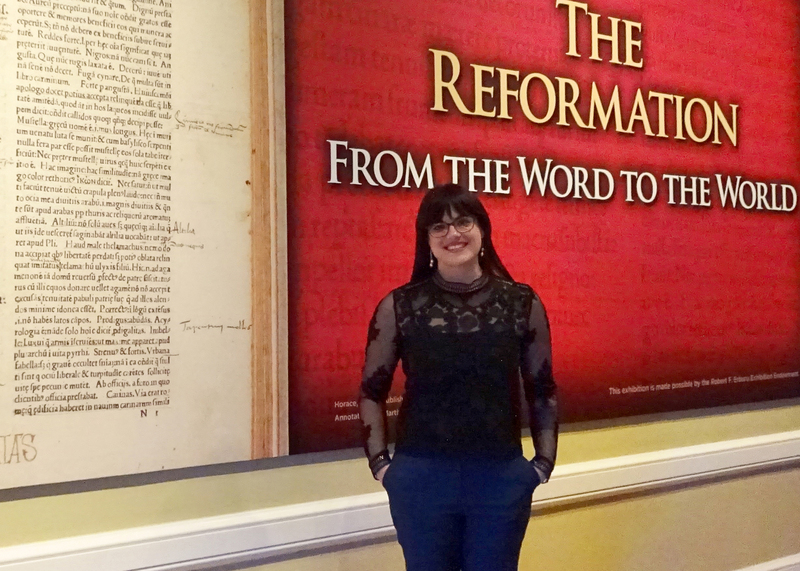 With Wilkie’s most recent curatorial effort, “The Reformation: From the Word to the World,” her past and present come full circle. The exhibit, on display until February 26, marks the 500th anniversary of Luther’s posting of the theses onto the Wittenburg doors. For Wilkie, it was a chance to showcase her curatorial eye on one of the events that inspired her to study history in the first place. 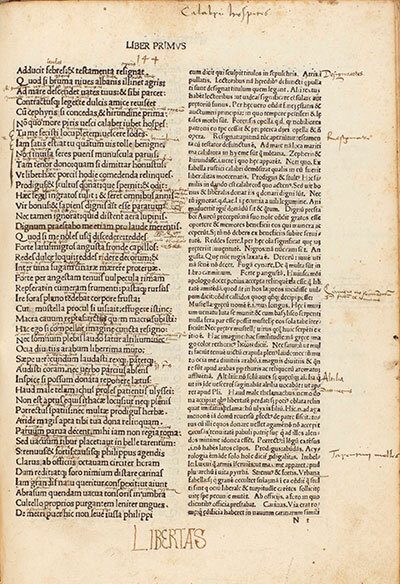 The exhibit features 50 rare manuscripts, books, and prints made between the 1400s and 1648, which connect the dots between Luther’s dissertation, historical events, and various philosophies disseminated and mobilized through advances in publishing. The exhibit highlights themes such as censorship, war, and ideological beliefs, as well as the relationship between the written word and historical moments. It also encourages visitors to reflect on these centuries-old events in light of what is happening today.